From its humble beginning in 1972 with just sixteen clients and two employees, The Arc of Somerset County has grown to serving over 1,400 individuals with intellectual and developmental disabilities and their families annually. In addition to providing direct services to individuals with disabilities, The Arc of Somerset County, driven by its founding parents, continues to be a strong advocate for prevention of disabilities. Through its efforts, in conjunction with state and national organizations, significant legislation has been passed. 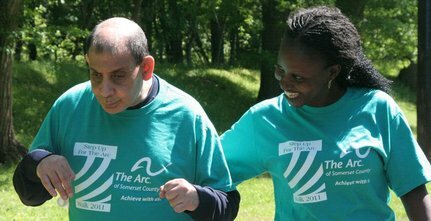 The Arc of Somerset County serves as a powerful model of individuals working together to effect changes at the local, state, and national levels of government in support of individuals with intellectual and developmental disabilities. Several of the chapter's founding parents continue to be vocal advocates for all people with intellectual and developmental disabilities and The Arc of Somerset County programs. These parents and many others serve as board and committee members who remain committed to perpetuating The Arc of Somerset County's goals of supporting, advising, and advocating for all people with intellectual and developmental disabilities. This active family involvement is unique to The Arc movement and is critical to maintaining The Arc of Somerset County's unique value in providing supports. The Arc of Somerset County has a strong and growing legacy of staff and volunteers helping individuals and families in all aspects of their lives. The Arc of Somerset County is proud of its outstanding history of advocacy, and for continuously delivering quality, professional services and support.